UPDATE: Tickets now on sale via Mathäser!!! I have purchased tickets for Wednesday, April 24th, 7:15pm. Feel free to join us and buy yours online or personally. See you at Protected content at 6:30 for the pre-movie social and discussion. Now, come to see the consequences in Endgame!! 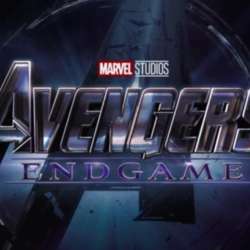 The MCU ends an epic 11-year storyline with Avengers: Endgame. Nothing more American than a loud, action-packed movie in a big theater. Join us for drinks before the show at Protected content to discuss who comes back, the morality of reducing the universe's population by 50%, or just meet fellow comic book/movie nerds. We're gonna take it down a notch, from hard-core fans watching at midnight... to just enthusiastic fans and watch it Wednesday evening!! I'll announce the time once tickets are released. Everyone is responsible for purchasing their own tickets. I'll keep in touch with all those who are interested so we can buy tickets and sit relatively near each other. At InterNations, no one finds the Infinity Stones alone!